“Anything BUT medicine,” a year 12 student with an ATAR of 99 told me in 2017. Every second outstanding student in Western Australia seems to be looking to medicine as their preferred career. It’s not difficult to see why they want to become doctors. Everyday doctors strive to make people’s lives better. It is a high prestige, well paid job. To earn these rewards you need to take on momentous responsibility, work long hours and be more resilient than almost any other profession. Patients are very demanding, they are sick, and all too often you cannot cure them. That is hard to work with. Australian doctors report psychological stress, depression and suicidal thoughts at rates twice as high as the general population. Physicians are twice as likely to commit suicide than the rest of the population, with rates even higher for female doctors. 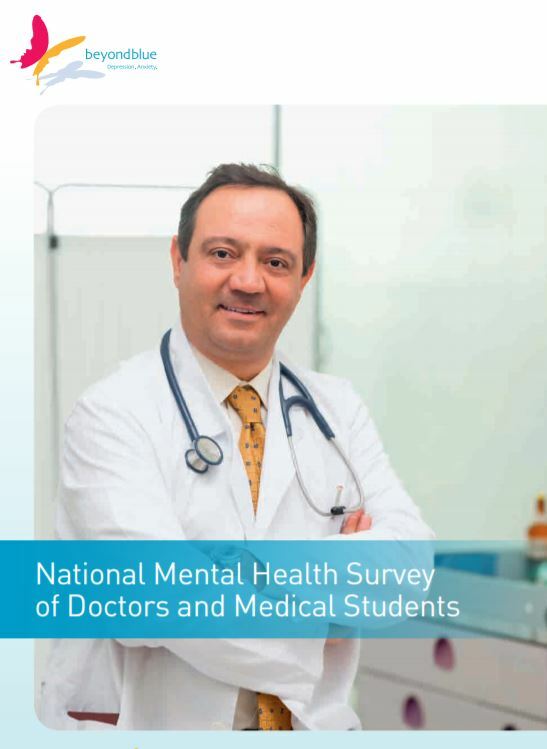 Being A Doctor Should Not Have To Come With A Health Warning and you can find the National Mental Health Survey of Doctors and Medical Students HERE. There are alternative careers for high performing students that will challenge your intelligence, creativity and problem-solving abilities as they deliver rich and exciting careers. Categories: Career Advice, Medicine, Year 12 | Tags: Medicine | Permalink. Curtin Medical School offers the only West Australian Bachelor of Medicine Bachelor of Surgery program that students can enter directly from school. Both UWA and Notre Dame offer medicine courses but they require applicants to have done a degree as part of the application process. Curtin is focusing on providing medical services in rural, regional and remote (RRR) Western Australia so are using their Curtin’s Step Up criteria to help RRR applicants and students from outer metropolitan schools to apply. This Set Up list will be finalised for 2019 in July. You may qualify for an Equity Bonus even if your school isn’t on the list so keep an eye on the Curtin updates. You can only get 5 bonus points even if you qualify on the Set Up list and for the Equity Bonus. They are aiming to have 25% of students from RRR areas. The Curtin course is only in its second year and there were 1511 applicants for the 70 places offered this year so even with the additional support it is a very competitive program to get into. Most of the places were given to school leavers and only 6 places were given to course switchers or mature age students. There will be 80 places in 2019. Use the normal TISC process to apply. Curtin is providing support to enable Aboriginal students to gain a place. Aboriginal students should apply through the Aboriginal Studies Indigenous Pathway. The Curtin Degree is 5 years long after which students do a 2 year internship. Studying medicine is just your first step in your medical academic career. After completing your internship you will take on further study to be a GP, surgeon, obstetrician or some other specialisation. While most university courses have short academic contact years, the Curtin Medical School requires students to have 40+ contact weeks. Applicants must have a minimum ATAR of 95. The lowest ATAR score for 2018 was 96.15. RRR students who can show they are eligible according to Curtin criteria will get 5 bonus points added to their ATAR score. Chemistry is an essential prerequisite for applicants. Human biology is not a prerequisite as it is taught in first year, however those students who have already done human biol at school will find it easier to get good grades in this subject at uni. Applicants who pass the UMAT must provide a predicted ATAR score from their school on the form that Curtin provides before the end of November so that Curtin can use that mark to shortlist applicants for interviews. The ATAR is worth 40% of the application score. Students must undertake the UMAT exam and score at least 50 in each of the 3 exams. Students who qualify on Curtin’s disadvantaged criteria must achieve a TOTAL of 150 across the 3 exams. There are practice UMAT tests on the site and students need to do those in order to know what to expect. There are private training organisations that provide UMAT coaching. ACER, which runs the UMAT says not to bother. Some students do…. You need to make up your own mind about whether to do the additional coaching or not. The UMAT is held on 25 July. You must apply by 1 June. TIP: If you have put Medicine at Curtin as your first TISC preference and you don’t achieve the requirements in the UMAT, change your preference with TISC. You can do that after the closing date by paying a fee. The UMAT is worth 20% of the application score. All applicants who are shortlisted based on their ATAR and UMAT results are invited to undertake interviews. The MMIs are 8 consecutive interviews of 10 minutes each. Students go to a room. There is a scenario written on a page on the door of the room. You have 2 minutes to read the scenario. You are invited into the room and you have 8 minutes to talk about the scenario. You leave and go to the next room. This routine can vary slightly from year to year. Last year they were 6 minute interviews. Again, Curtin will let you know the drill if you qualify for an interview. For the 2018 intake there were 350 interviews offered. As many of the applicants were from the eastern states and got offers from their local universities, 200 undertook interviews at Curtin. YouTube videos and sites like MedStudents Online and Whirlpool will give you some ideas about what to expect BUT your experienced interviewers are not looking for rehearsed answers, they want to know about you and your suitability for the profession. The MMIs are worth 40% of your application. Curtin takes a problem based learning and evidence based teaching approach that is supported by clinical skills tutorials. Students learn to work as part of health care teams by problem solving in consultation with students in other health care courses. Once students have developed skills in a classroom setting they take up full time placement in hospitals. The academic demands of the course are high. Students need to be resilient to cope with the study demands and they need to be resilient to deal with the adversity that often faces doctors. Check out the Inherent Requirements of Curtin Medical students to see the sort of attributes they are looking for in the interview. You can watch a video of the Curtin Getting Into Medicine presentation HERE. If you have any further questions about studying medicine at Curtin, please give the Future Students team a call on 1300 222 888. Designing the Best Pathway to Medicine for those who do an undergraduate degree BEFORE going into medicine. year or so. You can find them HERE. If you would like a presentation on Getting Into Medicine at your school contact me at Bev.J@infocus-careers.com.au or ring me on 0434 056 412. 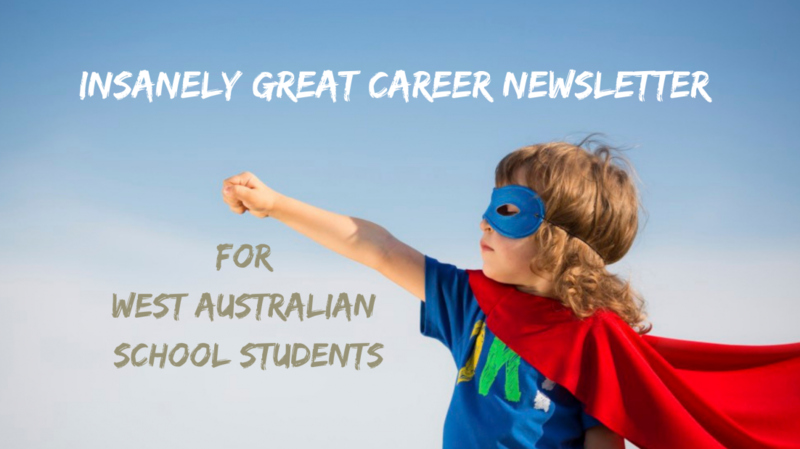 To stay up to date with West Australian careers news subscribe to the In Focus Careers Newsletter. Categories: Career Advice, Medicine | Permalink. The path to medicine is the starting point in your career. You can choose to do any course for the undergraduate degree which is a prerequisite for medicine at UWA, Notre Dame and many other Australian universities. To increase the range of undergraduate degrees that you can take make sure you take English (or English Lit), Chemistry and Physics (or Human Biol) as ATAR subjects. If you are interested in medicine it follows that you might be interested in a health science course for you first degree. The Universtity of Western Australia Health Campus Open Day showcased some fantastic undergraduate health science degrees that you could choose as your pathway to medicine. Speakers talked about their careers in pharmacology, microbiology, genetics, and audiology. Some speakers had chosen to specialise by doing a PhD, some were doing research in hospitals, while others had gone into management or were working on international committees. One had used his science PhD as a pathway to found Exodus Space Systems which is developing systems for settling the solar system!! There were presentations on biomedical science and biomedical engineering with some exciting and crazy talk about mechatronics and 3D printing of organs. The future for engineers in the health industries is changing at a dizzying pace. In order to get a broad understanding of the health industry speakers recommended that you choose a broad range of subjects in your first year which maximise your choices for specialisation. They suggested that you maximise your flexibility through a strong focus on maths and sciences that give depth as well as breadth. One of the key underpinning skills mentioned by one speaker was the development of strong communication skills. She said that her capacity to formulate a reasoned argument quickly was a direct outcome of her science degree. The need for communications skills was reinforced by others who mentioned the need to negotiate for clinical or resource priorities as well as the need to explain your decisions to patients, politicians and the public. The message was that good communication skills would be your gateway to a range of opportunities across many industries. They said that is was easy to turn a health scientist with good communication skills into a business person in many interesting fields. It is possible to do your degree online, from the comfort of your own home. Uni life can be so much more than study. Use the campus. Join social clubs. Go on camps. Do sport. Through these opportunities you can make lifelong friendships. A self proclaimed introvert on one of the panels said it took her significant effort to force herself out of her home and onto the bus to the campus so that she could meet and mix with people. In addition to networking with other students it was advised that students take opportunities to volunteer and get experience through contacts at the university. All of the speakers had stories about how they had been encouraged to apply for scholarships, or present papers at conferences or had found part time jobs which led to other jobs. This was a day of UWA selling its health science courses… and they did it well. It seemed that a strong, broad health science degree was your gateway to a million opportunities. People on the panel didn’t know where their careers would take them and all praised UWA for providing the first step on the heath industry career. Categories: Career Advice, Medicine, Senior school, University, Year 12 | Permalink. I can’t believe how many West Australian students try to get into medicine or dentistry. My Getting Into Medicine or Dentistry presentation at Canning College. There are so many outstanding students who are chasing a place in one of these courses and the information sessions that the unis put on are crowded. Curtin, UWA and Notre Dame universities all offer a medical degree course and UWA also offers dentistry. Curtin’s is scheduled for 24 April. The people attending these sessions seem to be getting younger and younger so don’t be worried about going to an information session if you are only in Year 10. Curtin offers the only direct entry Bachelor of Medicine Bachelor of Surgery program available to school leavers in WA and there is heavy-duty competition for the places. Last year there were 60 students chosen from 1500 applicants with some students gaining entry through Aboriginal and Torres Strait Islander, rural and equity places. Curtin’s focus is on providing doctors to rural, regional and remote areas. If you have a background in the bush you have the background they are looking for. This year there are 70 places available, mainly to school leavers although there will be some places available to non-school leavers. There are no places for international students until 2021. Chemistry ATAR If you haven’t studied chemistry contact the Medicine Admissions Coordinator Jo Washington King, to find out what to do. Interview Those students who score highest on their ATAR and UMAT will be given an interview. See notes below on Multiple Mini Interviews. Curtin is also seeking a range of Inherent Requirements which feel a bit difficult to pin down. See current students speaking on YouTube HERE. You can find my notes from the 2017 presentation with suggestions from students HERE. The UWA Doctor of Medicine (MD) and the Doctor of Dental Medicine (DMD) degrees are 4-year courses that require applicants to have already completed an undergraduate degree. There are 24 places Direct Pathway places available in Dentistry and 65 placed available in Medicine. Year 12s should apply for a Direct Pathway place via the normal TISC process in August-September. Suitable UMAT score in 2018 for 2019 academic intake. You can register for that HERE. UMAT results are valid for one year. The UMAT is held on 25th July. Results will be available in September. The final rating will be based on UMAT, ATAR and Interview and will be weighted 1:2:2 respectively. High achieving secondary school leavers may be eligible to apply for an International place in the Direct Pathways for the Doctor of Medicine (MD) and the Doctor of Dental Medicine (DMD). Applicants will be required to provide ISAT results when they apply. Applications are via the UWA OASys portal. The next round of applications is for 2019 entry and opened on 1 March 2018 and close 31 May 2018. A place in the MD and DMD is conditional upon successful completion of a bachelor degree with a minimum Faculty Grade Point Average of 5.5. There are no preferred bachelor courses required prior to the Doctor of Medicine or Doctor of Dental Medicine. Applicants for the UWA post graduate degree WHO DO NOT HAVE A DIRECT PATHWAY need to do the Graduate Medical School Admissions Test. It is similar to the UMAT and is also run by the Australian Council for Educational Research. It is run twice a year – in March and September. The Notre Dame Getting Into Medicine information session is held the day after the GAMSAT. You can always pick the people who did the GAMSAT… They are the ones who look exhausted!! This is a 4-year post graduate degree for domestic applicants only. A personal folio that demonstrates your suitability for medicine at Notre Dame. Notre Dame says that successful applicants will already have a degree with a minimum Grade Point Average of 5. This score may be misleading as students usually have a Grade Point Average higher than 6. Applicants must undertake the Graduate Medical School Admission Test (GAMSAT). Applicants are also required to undertake an interview process…. which is described below. Notre Dame also requires a Student of Medicine Application Folio which demonstrates more about the student’s personal attributes and suitability for acceptance. Notre Dame usually wants to know WHY you want to study at Notre Dame and WHY you want to study the course you have chosen for any course so you would need to be clear on that. Notre Dame offers a Pre-Medicine Certificate that its students can take WHILE they are doing their undergraduate degree (and getting a high GPA!). This pathway also provides students with a mentor from the ND School of Medicine. Completion of this Certificate will guarantee an INTERVIEW as part of the medical course application process if your GPA and GAMSAT reach the minimal score. Curtin and UWA Direct Entry require a UMAT score as part of their application process. You can find out more about the structure of the test, and the registration procedure in their downloadable Guide. UMAT offers practise tests which are an essential part of preparation. Many businesses offer courses on how to blitz the UMAT. There is considerable discussion about the value of these tests and the accuracy of the information they provide. In an online world there are a lot of free resources available to help you to prepare. BUT, some students will have done one of these courses. Intensive preparation is not advisable or necessary. However, wide and critical reading may provide helpful preparation and, as with any test, some practice in answering questions of a similar type, and under similar time constraints as those found in the real test is helpful and reassuring to most candidates. It is also helpful to practice using a machine-readable answer sheet similar to the one in the actual test. I like asking questions on Whirlpool.net.au . It might not be any more reliable than Facebook but you get to ask people who are in the field for their thoughts. You can even ask what students at different unis think about their medical courses. Medstudentsonline is similar to Whirlpool. You can join in discussion threads about the application process. MedEntry has practice exams, blog articles and information about UMAT. MedView is a business that prepares students for medical school entry processes. You can get an assessment HERE. There are companies like Matrix that help you to prepare for the UMAT. Being a doctor is a tough gig. Last year I provided career advice to a brilliant ATAR student who said there was no way he was going into medicine. Both of his parents were doctors and he saw the emotional toll it was taking on them and on their family life. He thought he might become a physics teacher. The health industry is the fasted growing industry in Australia. The application of AI to diagnostics and the use of robotics is creating a boom in new health related career choices. West Australian universities are onto this and competing to be leaders in new postgraduate health education fields. There might be a life for you in one of these new careers. Making medicine or dentistry your first choice is fine at this stage but as you go down that path check out the emerging opportunities that are making those fields more specialised and diverse. I bring together the key information you need in a one-hour presentation about West Australian medical degree courses.